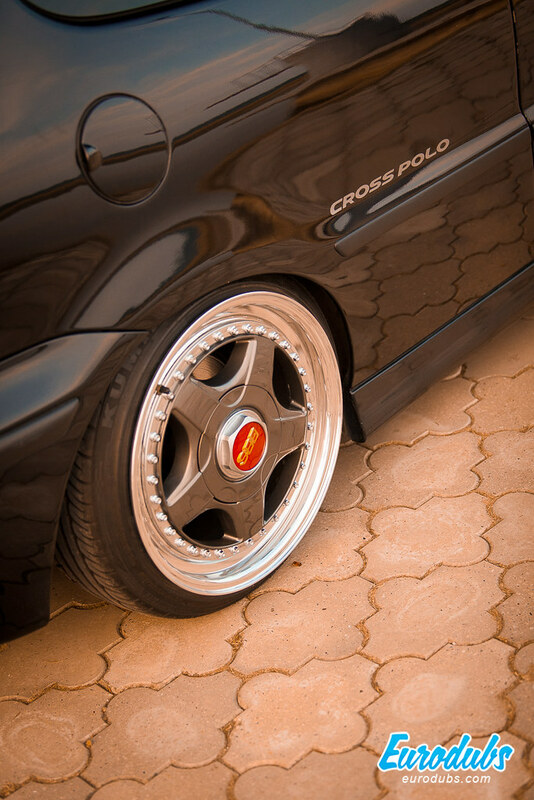 Two years ago, we have already had the opportunity to take photos Aleksandar’s Volkswagen Polo 6N2, when Polo was on Tomasson wheels. Since then, Aleksandar has made changes to the project and we seize the opportunity to make new photos. The location, the bankrupted factory in Belgrad (Serbia), “decorated” with Luka’s graffiti, we replaced with a beautiful estate on the opposite side of the city. Mods: Headlights, GTI mask, BBS RF 16 ‘GTI speedometer, Audi gear lever. Stanced just right, looking slick on these wheels. It is evident that the car is now even lower. BBS RF are perfect fit! RF centers are mounted outside (front mounted) custom, to get the desired fit, with the center edges polished so it is not obvious when you first look at it.